The 6X6 monster of Mercedes-Benz G63 seems to be a new trend in the world pickup. 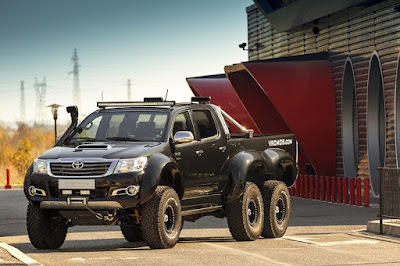 In Bulgaria, a home modification specialist off-road named Vromos the birth of the pickup with three axle in the body of the Toyota Hilux. 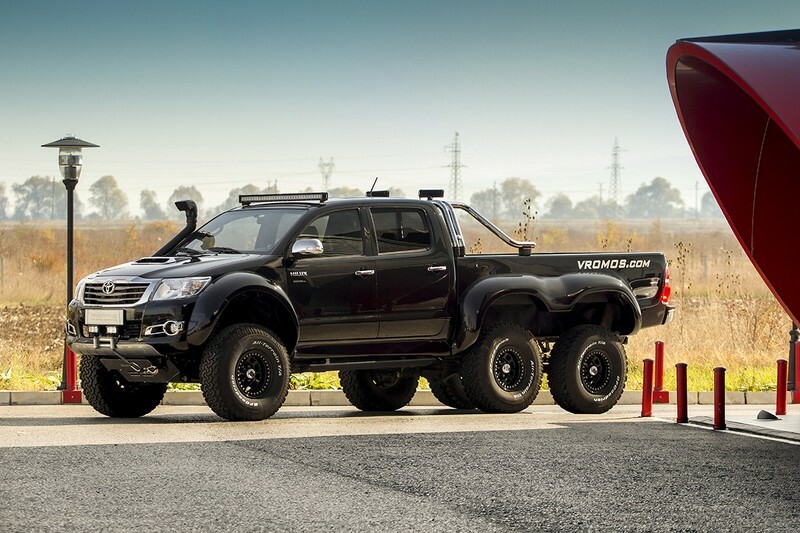 The main modifications made to the chassis in order to use the six wheels. Bodi then converted into longer adjust the suspension while the rims and the tires worked well prepared to "scratching the ground". Not just the appearance, but the inside also got a touch. 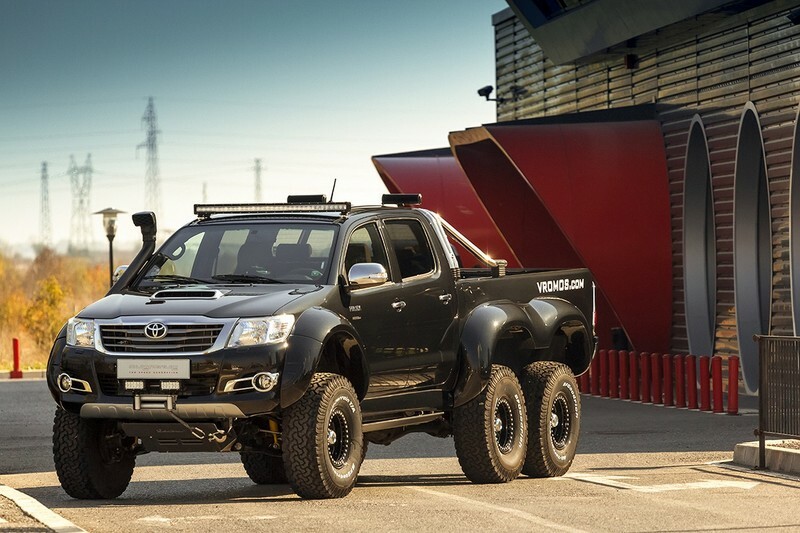 Hilux faces now may be intimidating but in the cabin was felt to be cool and elegant. 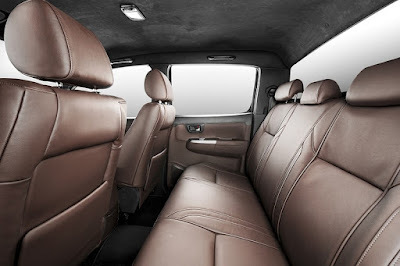 Electronically adjustable front seats and most of the Hilux interior is synonymous with the work car changed with Alcantara leather and customized by Overdrive.